25% off Items in the Benchmark Collection! Though we use it every day, the staircase is often a much-neglected part of the home. The fact is the a handsome staircase can be a design feature in itself and can add a lot of value to a home in both aesthetic and financial terms. If you are thinking of creating a stairway to heaven, then you need to use the highest-quality materials! And that’s where JAS Timber come in, with our oak products from Cheshire Mouldings. We currently have some extra special offers on several components from the CMBO range, which will save you a cool 25% and help you on your way to a better staircase. Take advantage of these offers while they last! Included in our 25% off sale are Cheshire Mouldings Oak Newel Bases. These have a square section that measures 91x91 mm and have been accurately shaped around the top. A 50mm hole has been pre-drilled for your convenience and is designed to take newel turns. These quality newel bases from Cheshire Mouldings are also available in pine, hemlock, ash and red hardwood. 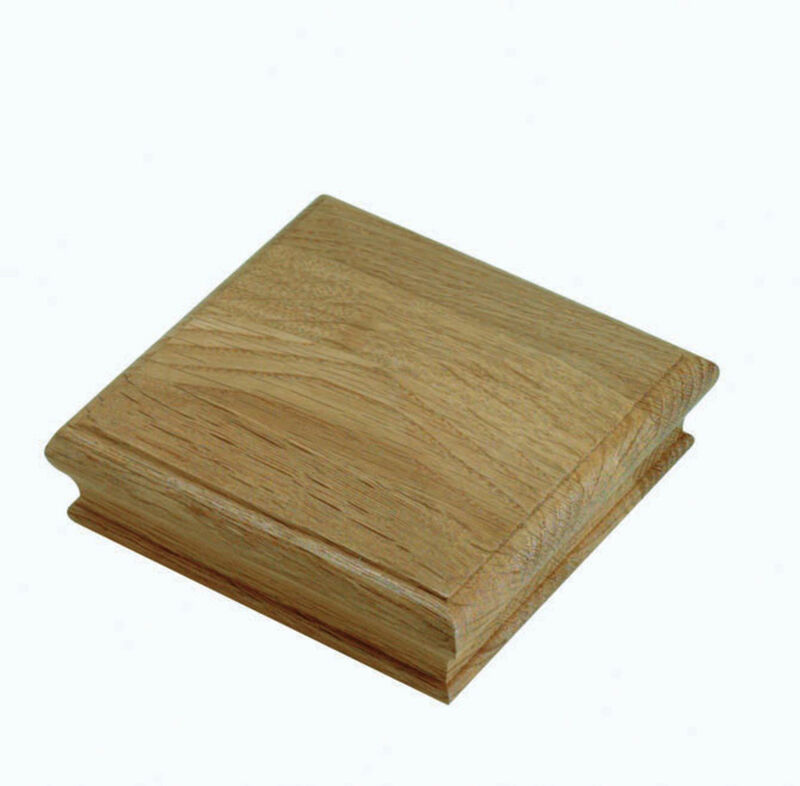 There is also 25% off the Oak Pyramid Newel Cap which, with a Finished size of 125x125x47mm, is machined from American white oak or a similar tree species. This product and other in the Benchmark range of stair parts are manufactured from engineered white oak components; this is to ensure that the maximum amount of timber from each tree is utilised to produce an extremely attractive and particularly stable product. Oak is of course a natural material and so each piece can be expected to show some unique features. Variations in the colour, knots and grain are normal are do not represent defects in the timber: JAS Timber only supply materials that have reached our own professional standard of quality. The Benchmark range of stair parts from Cheshire Mouldings includes newels, spindles, handrails and baserails, all of which are fabricated to the same superb and reliable standard. The full range can be found here at JAS Timber so why not make a feature out of your stairs and give them a makeover with oak mouldings? If you need advice or information, call our experts today!